In Flux appeared in Silver Stork's second issue (2018). Days of Wine and Tulips was the first painting Sarah ever entered in an art show. It was included in the Women's Center Art Gallery of Frederick Memorial Hospital in Frederick, Maryland as part of the Reflections of Seasons exhibit (2016). Painted with wine and watercolor, it was the first painting from the show to sell. The owners are art enthusiasts who live in Florida. Chronic pain warrior Sarah Bigham uses art to to express her personal journey through pain. 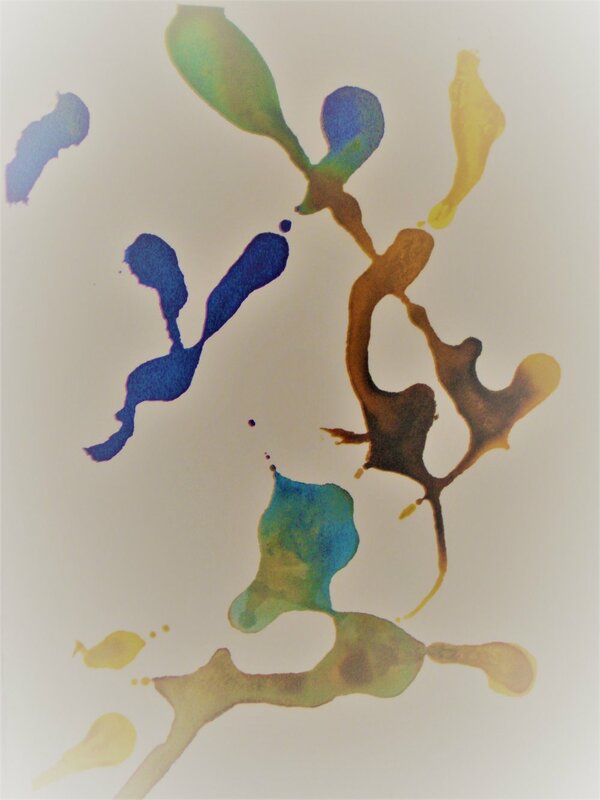 She has created several series of paintings, including one made with dissolved supplements and medications she no longer needs. Other series feature concentrated wine, kitchen spices, plants, and even cat hair. Commencement, the inaugural painting in the medication series, was featured in the September 2, 2016 edition of Pulse: Voices from the Heart of Medicine. Hope Springs was published in Volume 3 of Hollow literary magazine, released in July 2016. *All quotes on this page taken from website responses to Sarah's posts, writing, etc.